Products - Page 2 of 4 - io design & illustration, inc.
Design services related to products and dimensional design include: packaging, garment artwork, signs and banners. We have also worked on specialized projects such as the aesthetic pattern for a noise barrier wall and the decorative elements for a concertina. 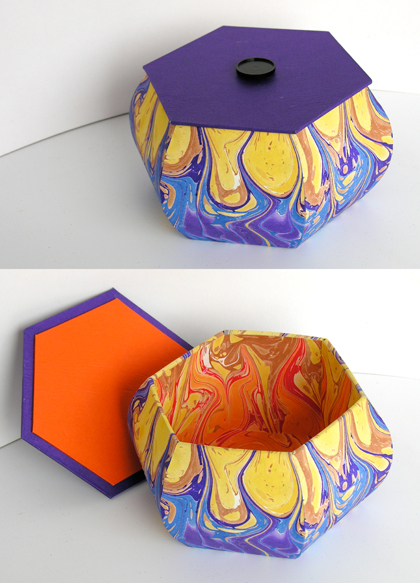 Below are examples of our work specific to products and dimensional designs. 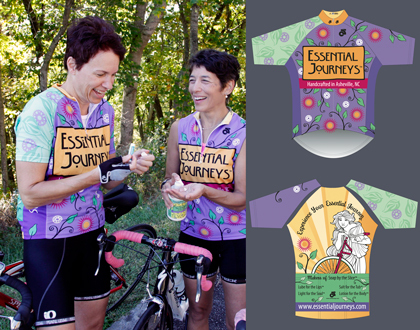 Short sleeve and sleeveless examples of the Essential Journeys Bicycle Jersey. Photo by rebecca d'angelo, courtesy Essential Journeys. We started with the base art from label designs for the floral pattern on the front and sleeves. We made one sleeve green and one purple – why not, much more interesting then both the same.